In Canada there is a town that did not have television (TV) until recently because it was shielded by mountains. 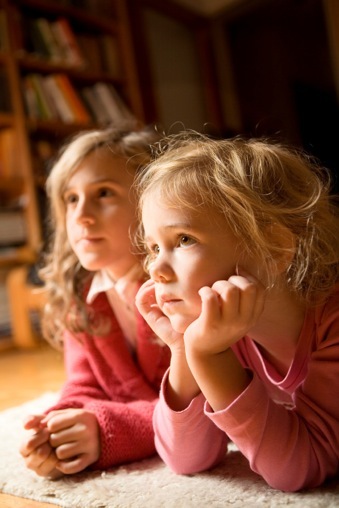 A study made there shows the impact of TV on our children. After TV was introduced there was a marked change in children’s behaviour. They became more aggressive. Their beliefs became more stereotyped. Creative activities were replaced by staring at the screen for hours on end. This ‘staring’ is a symptom of a very passive state, where in reality, the poor subject is no longer in control! Something else has taken over. The child becomes, as is said, ‘glued to the screen’. The images served up on a TV change about once every three seconds. This is a peek-a-boo world where a child is continually stimulated but never has time to understand anything. Understanding takes a back seat. Knowledge becomes superficial. There is a danger that the impressionable child becomes tuned to this world, with the search for real meaning relegated to some ever-darkening corner of the subconscious. The child is hooked, well and truly spoilt. 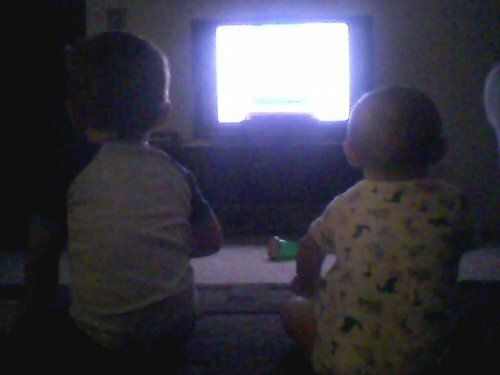 Many parents have commented on how TV seems to pacify and quieten their children, but that they become ‘fidgety’, ‘nervous’, and ‘un-cooperative’ when watching is over. This behaviour has been characterised as a classic ‘re-entry process’, where one state of consciousness (experienced whilst viewing) is replaced by the normal waking state. Time and again parents describe the watching state with words such as ‘zombie-like’, passive’, stupefied’, ‘mesmerised’, and ‘hypnotised’. I have watched my own child watching TV. Sometimes, when he seems deeply engrossed, I have called over to him and witnessed the difficult journey that he makes back to this world. After a few seconds he turns round with a dazed expression to see what the noise was. I ask, “What are you watching?” “Oh”, he replies after a short pause, “Nothing.” Then, with no further input from me, he gives himself back to the TV. I can see from his eyes that he hardly sees me, and probably won’t even remember the interruption after a few moments. What is so distracting him? What is REALLY going on here? TV has been called the plug-in-drug, and it certainly seems to induce what I would call dependent behaviour. Kids seem to be drawn to it, but is it harmless or is it having lasting ill effects on our children? The TV image is composed of 600 or so lines of phosphorous dots. There are only three colours of dots – red, green and blue. Physically, that is what enters our eyes: three colours produced by a stream of radiated electrons bouncing off light-emitting phosphorous dots. The actual image is constructed within the brain of the watcher, and the colours and movement ‘seen’ by the watcher are the attempt by the brain to make sense out of what it is experiencing. As well as phosphorous-produced light, a certain residue of the electron beam (fired at the dots by the electron ‘gun’) also enters us. You can physically feel the energy as ‘heat’ coming from a TV screen, and if you place the back of your hand within a foot or two of the screen you can feel the hairs on your hand react to the electro-magnetic field. Many scientists attribute ills, such as headaches, moodchanges, fatigue and cancer (especially childhood leukaemia), to this electro-magnetic phenomenon. The behaviour of the beam causes more problems. The electron beam is not continuous – it is switched on and off at a constant rate around thirty to fifty times a second. We don’t experience this ‘flicker’ because the conscious brain can only record stimuli at about 20 impulses per second. But many cases of reaction to this flicker are recorded, including headaches and, in extreme cases, epilepsy. Everyone is affected by this unnatural flicker, though not in such obvious ways. Indeed, the experience of ‘not-quite-keeping-up’ with the external stimuli may be a factor in inducing the ‘gluing’ effect of TV. And the monotonous flicker rate, albeit it on a subconscious level, may well contribute to the state of ‘hypnosis’ recorded about their children by parents today. This beam of phosphorus-produced light is indeed highly unnatural. Our eyes are not made to handle flickering radiant light, but only to handle ambient (or ‘reflected’) light. I myself get bad headaches, and suffer irritable moods, when forced to work under fluorescent lights. I am convinced that other people do as well but either don’t notice or don’t attribute it to the lights. 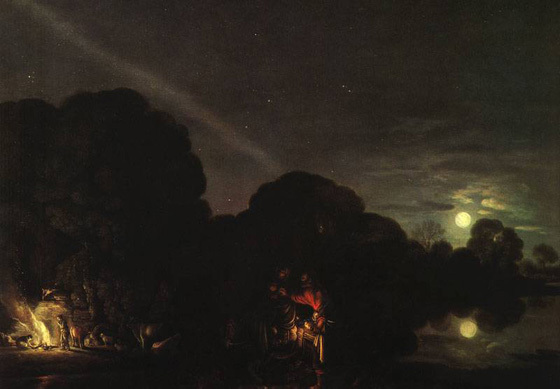 I suggest that even most scientists today do not know the real damaging consequences of flickering radiant light beamed directly into our eyes. We are easily influenced. Whilst the capacity for people to give themselves up to an external influence may not, in itself, be a bad thing, the ease with which we give ourselves to TV needs to be questioned. Advertisers (and politicians) understand the induced state of passivity very well, and use it to manipulate people. They use the phenomenon of associative thought, the only sort of thought going on in a passive state, to link a ‘product’ with a positive image in the watcher’s mind. In the same way that the brain automatically creates a picture from a mixture of three-coloured dots, the brain also creates a context for a product. Advertisers skilfully manipulate this context, so that even toilet paper can become a symbol of sunshine and fun(! )and, more seriously, even war can seem to become a necessity. Our minds can be (surprisingly easily) manipulated to the extent that the advertised ‘product’ has nothing to do with the image created, but in the subject’s mind the two are intrinsically linked. Professional hypnotists use very similar techniques so that, for example, a cigarette can be associated with a bad taste in the mouth – to help the subject give up smoking. So, be warned-advertisers and politicians are ultra-professional hypnotists! Is it possible to watch TV ‘actively’ and not become subject to this manipulative influence? Try it! Take a deep breath, then another. When you can feel the air in your lungs and the oxygen in your blood, switch on the TV and start watching. Try to stay aware of your body – yourself. Keep trying! You may find, like me, that you become sucked into whatever programme happens to be on. 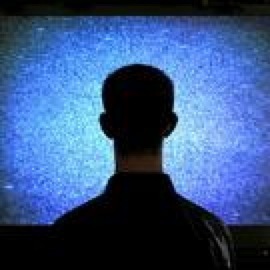 Your breathing becomes shallower; your body starts to sag into the chair, until finally you are aware of nothing, and not even aware of why you turned the TV on in the first place! You are gone, as if under a spell. And this may happen so quickly that you do not even experience it – the whole process can take only a second, especially for a practised TV viewer. The use of computer games also falls squarely into the passive category. All such games are invented by the game-author, not the child, and the child can only respond to events pre-programmed into the game. The child does not have real creative input. Once a child has learnt the correct responses, …bye-bye… no need to think any more. The child continues to ‘play’, but only like a machine plays. There is no need of any further thought, and with defences down, the child again becomes vulnerable to maleficent influences. Since we agreed to dispense with the TV (and computer games) I have noticed a real change in my 5-year-old son. He makes up new games for himself, builds scenarios with his toys, and asks more questions of his Dad! And what’s the most surprising thing? Well, he doesn’t miss the TV or the computer one bit!! He occasionally bemoans the lack of Saturday morning cartoons, but the complaint now evaporates within seconds. Indeed I believe that he feels in himself a sense of achievement at having acknowledged and beaten a habit.